Jason, an old friend of mine, classmates since my our days in St Andrews Junior College, approached me to help out in his actual day wedding. Initially, I was afraid that my injuries would hinder me helping out in the brotherhood duties required in the morning segment of an actual day wedding gatecrashing, however, Jason was alright with me being on light duty and still able to go there support, participate and help him out. It all happened on Thursday 10th June, picked up by Daniel & Irene, we reached Jason’s home for breakfast, waited for the rest of the entourage to arrive before proceeding to the bride’s home. 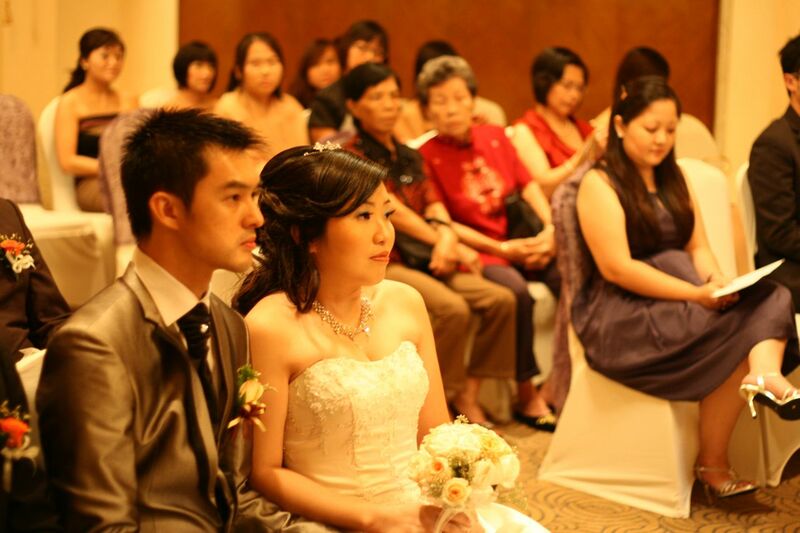 Jason & Ling Ling, both spent time planning the schedule and details for execution, although the timing was a little bit late, the groom’s party managed to arrive and complete all gatecrashing tasks on hand. Once the gatecrashing is over, there were less duties for the “brothers” and “sisters”, accompanying the wedding couple to shuttle from groom to bride to groom home, for the tea ceremony. The rest of the brothers and sisters helped to pack up their stuff to be ferried over to the hotel. Returning home to rest, shower and change, I reached Grand Copthorne Waterfront for their solemnisation ceremony and attended their wedding dinner, catching up with classmates. My final duties of the brother was helping out in the yum seng and helping to arrange wedding tables for photo taking with the bride and groom. It was a long day, quite fun too ! 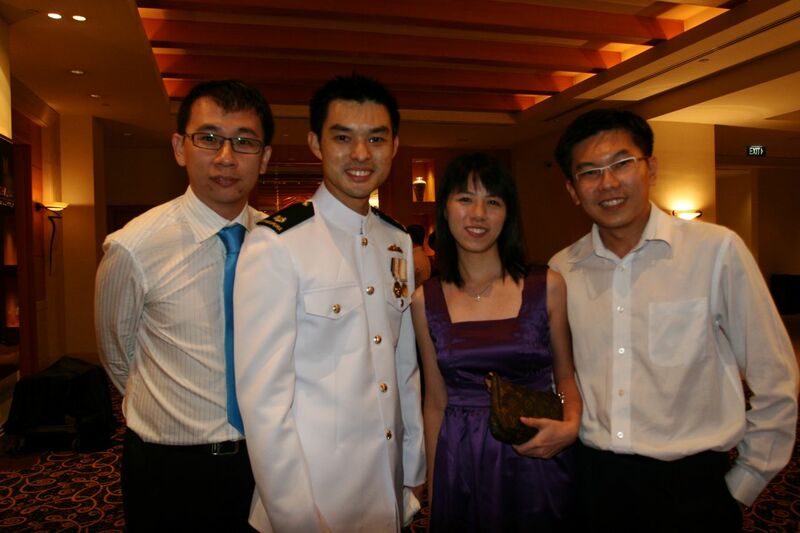 Wishing Jason & Ling Ling all the best in their newly wedded journey ! 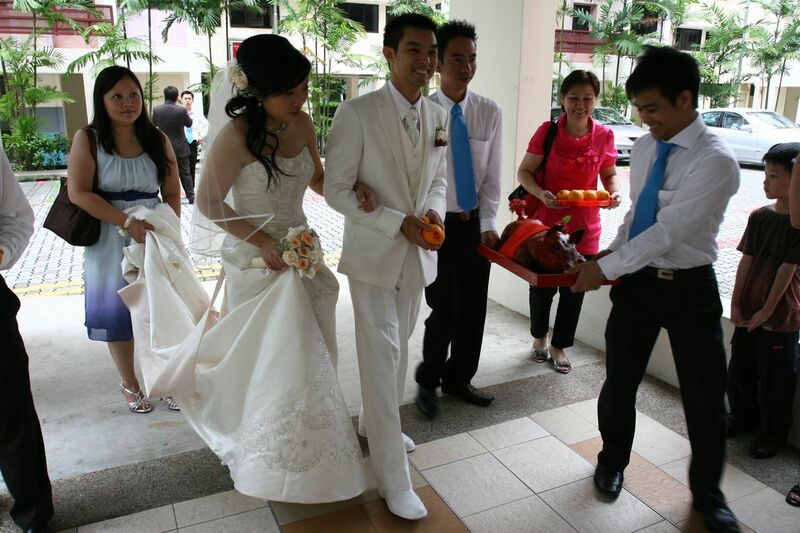 It’s so fun to be a brother or sister, Yeah, I love this kind of Guangdong Style wedding. It’s so great to see you have totally gotten well, JH! Best regards! It can be fun to be a “brother” in weddings 🙂 … It is also very tiring too ! Yup, I am recovering & getting well ! Thanks !